Sofosbuvir Plus Velpatasvir is a two-drug combination for the treatment of hepatitis C. It is administered as a single daily pill containing the viral NS5A inhibitor velpatasvir plus sofosbuvir, a nucleotide inhibitor of the viral RNA polymerase. It is the first treatment, that works for all genotypic, and is taken entirely by mouth. A single tablet regimen is used for adults with genotype 1-6 chronic hepatitis C virus (HCV) infection. The most common Side effects (≥10%, all grades) with Sofosbuvir plus Velpatasvir were headache and fatigue; and when used with Ribavirin in decompensated cirrhotics were fatigue, anemia, nausea, headache, insomnia, and diarrhea. 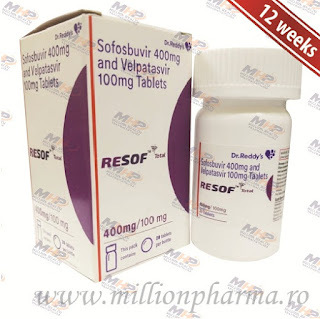 Sofosbuvir plus Velpatasvir is a prescription drug and should be used under proper medical guidance and advice. 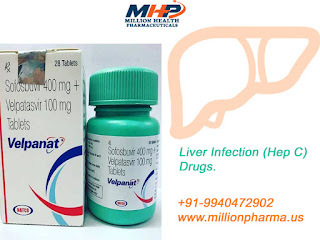 The information provided here is for general educational purposes only and does not constitute medical or pharmaceutical advice which should be sought from qualified medical and pharmaceutical advisers.